Select File from the top menu bar and then Info. 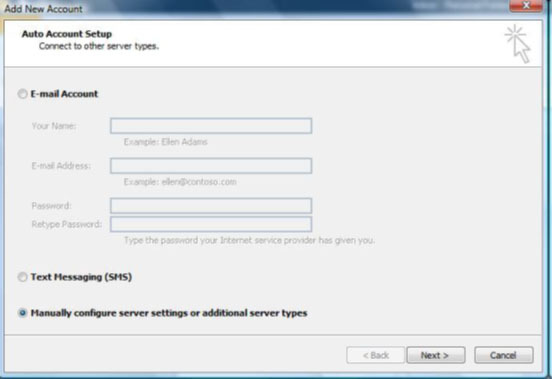 On the Auto Account Set-up screen, click Manually configure server settings or additional server types. 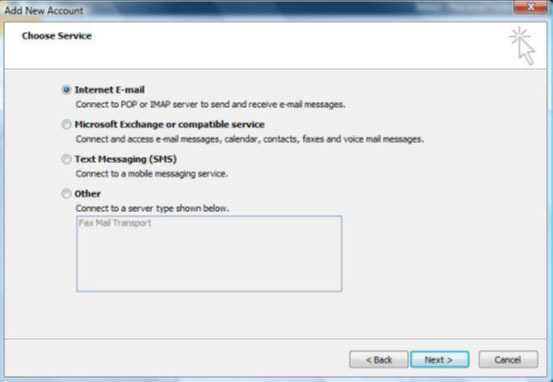 Incoming mail server: mail.domainname.co.za, where domainname.co.za is your domain name. 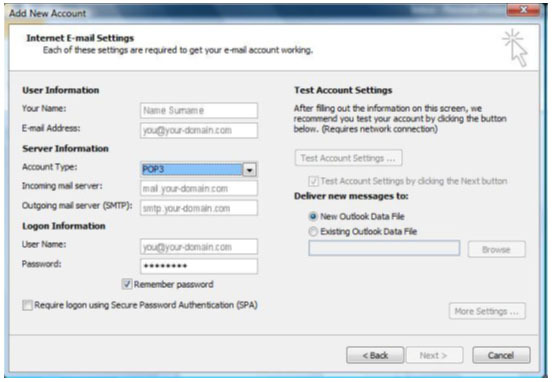 Outgoing Mail Server: mail.domainname.co.za, where domainname.co.za is your domain name. Now, click the More Settings button. 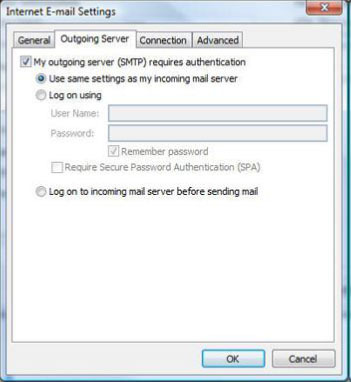 Click on the Outgoing Server tab and ensure that the My outgoing server (SMTP) requires authentication checkbox is selected, as well as Use same settings as my incoming mail server. 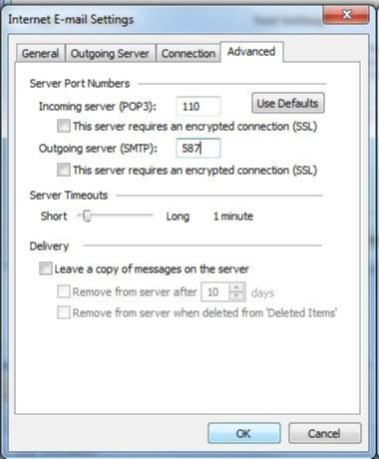 Make sure the other options are not selected. Click OK and then click on Next. 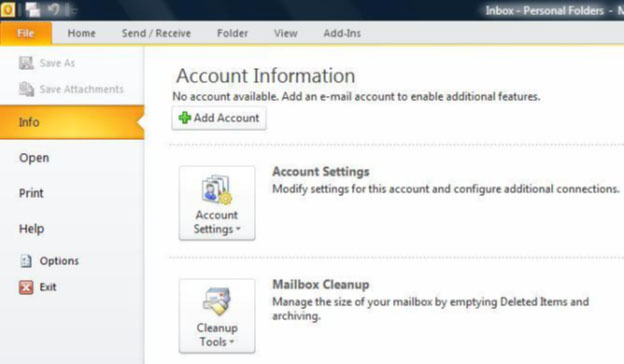 Test the new email account to verify that you can send and receive mail, by clicking the Send/Receive button.